I enjoy networking: Networking is easy for me. Subliminal Affirmation for Job Search Motivation: Networking from Sheilah T. Davis on Vimeo. Networking is easy for me. Networking is easy for you. 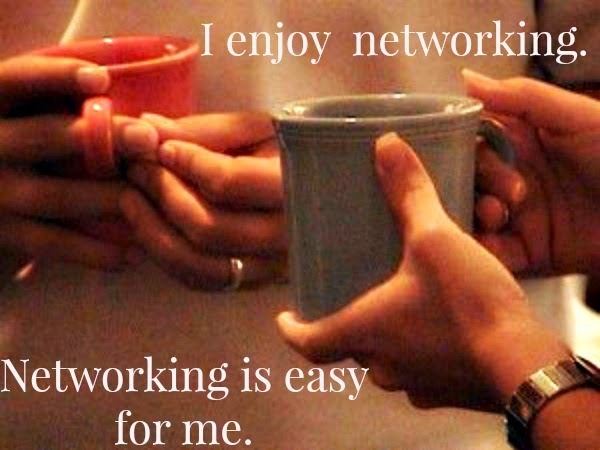 Other people recognize that you enjoy networking. Other people admire how easy networking is for you. Successful job seekers enjoy networking. Successful job seekers believe that networking is easy for them.